Snacks are important. 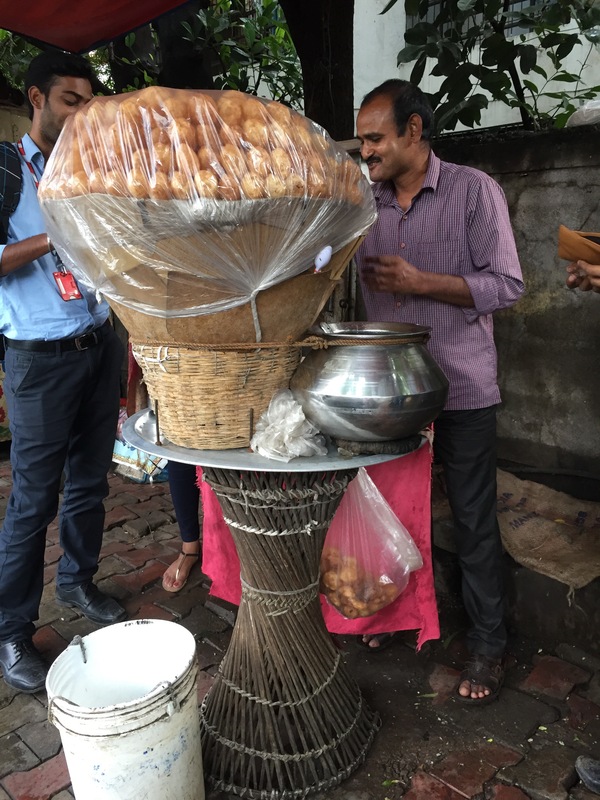 Street food is important – it is fundamental part of the culture in countries like India and Mexico. Pani Puri is a popular street food snack in India, known with different names in different places. The snack consists of a round, hollow puri (fried crisp) which is filled with a mixture of flavoured water (which in Hindi is “pani”), and spices – spices can be tamarind chutney, chilli, potato, chaat masala, onion and chickpeas. It is generally small enough to fit completely into one’s mouth. Not my favourite Indian snack but one worth trying for sure! Así es, los snaks muy importantes!